Ms Mahajan, who is the Member of Parliament from Indore, thanked Railway Minister Puyish Goyal and said the train was a good effort to connect Indore with prominent religious places. 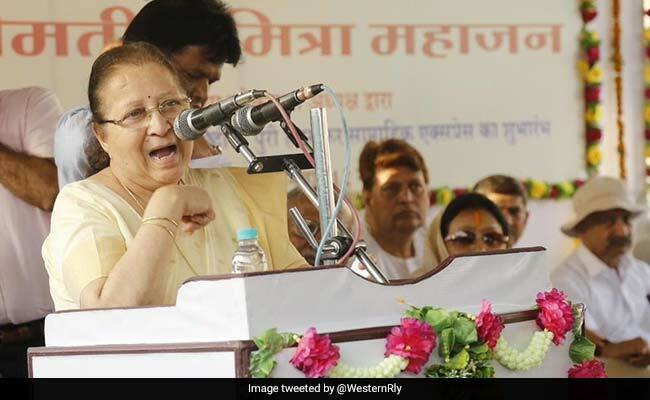 Indore: A Humsafar Express train, comprising entirely of 3AC coaches, was today flagged off between Indore and Puri in Odisha by Lok Sabha Speaker Sumitra Mahajan. 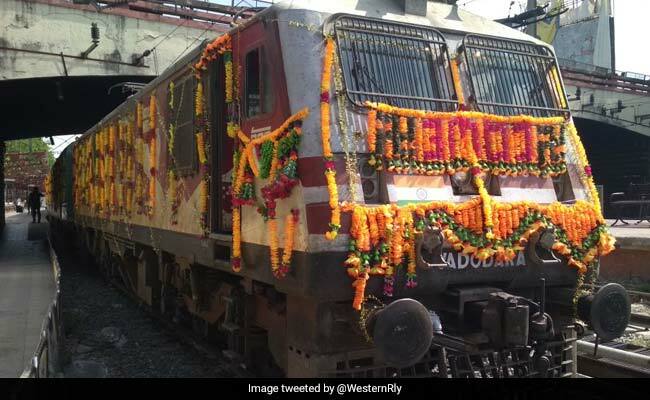 Ms Mahajan, who is the Member of Parliament from Indore, thanked Railway Minister Piyush Goyal and said the train was a good effort to connect Indore with prominent religious places. Railway officials said that the 19317 Indore-Puri Hamasafar Express will depart from Indore every Tuesday at 12:40 pm and reach Puri the next day at 7:55pm. The train will halt at Dewas, Bhopal, Itarsi, Nagpur, Rajnandgaon, Durg, Raipur, Bilaspur, Jharsuguda Road, Sambalpur City, Angul, Bhubaneswar and Khurda Road junction in both directions, officials said.